I have a bit of an obsession with ghosts, as anyone who has read my books knows -- three of my novels feature a haunting as well as some steamy romance -- and my latest ghost story, The Haunting of Hillwood Farm, is coming out in a few short weeks! I've made lists before of my favorite ghost stories in terms of books, but I do enjoy the movies as well...whenever my sister comes to visit, we usually have a marathon watch of creepy films. Anything paranormal will do, but the ones with a spooky and convincing ghostly presence get top billing. Over the years, a few have really resonated with me, and helped inspire my novels. 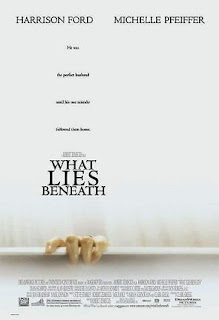 Keep in mind, I'm no movie critic...I just found these films to have the solid backbone of a believable ghost story, with a decent mystery behind the haunting, as well as a lack of the plot holes I find in so many others. The suspense kept me guessing, and certain scenes gave me serious chills. I'll try to throw a little blurb out there for each one without revealing too many spoilers, in case you'd like to give one a try! The Changeling - 1980 - George C. Scott stars as a widower who moves into a spooky old house in Seattle in the beginning of this film. The ghost of a young boy inhabits the house, and the tragedy that befell him will eventually expose a cruel plot. Now, the ghost wants justice, and Scott's character, plagued by scary surprises and terrifying noises, begins to investigate the mystery. Admittedly, it's an oldie...and at the risk of dating myself, it was one of my favorites when I was in middle school. 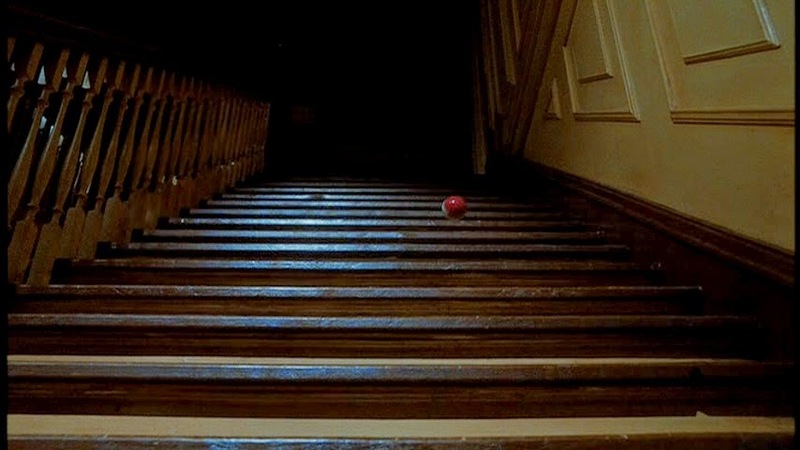 In fact, my best friend had an upstairs bedroom that opened upon an attic that bore a spine-tingling resemblance to the one in the movie...late at night, we'd scare ourselves silly imagining that ball bouncing down the stairs. 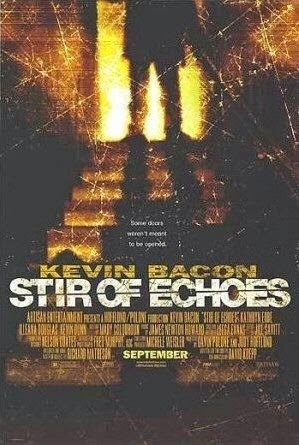 A Stir of Echoes - 1999 - a film starring Kevin Bacon, loosely based on a novel by Richard Matheson (also the author of Hell House and I Am Legend, among others). 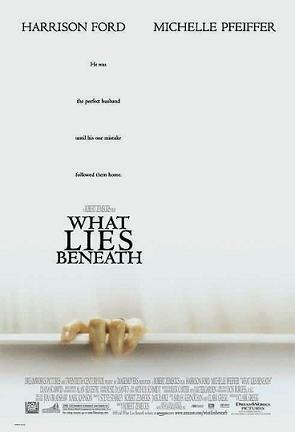 Bacon's character, Tom, has a son who seems to possess the ability to speak with the dead...and there is something in their house that wants to be heard. After being hypnotized at a party, Tom begins to experience visions as well, of a violent altercation which is tied to a neighbor's disappearance. Clearly the desperate spirit wants its body found, but there are others with a vested interest in making sure that doesn't happen. The Others - 2001 - Nicole Kidman plays Grace, a mother residing in a remote manor with her two young children after World War II. Both children must avoid exposure to sunlight due to a rare condition, so as you can imagine, the shadowy, secluded house presents itself as the perfect Gothic setting for the mysterious events to unfold. There's quite a bit of psychological suspense in this one too, so I don't want to say too much about the plot for fear of spoilers. In most of these movies, there is a very similar theme: a desperate spirit who cannot rest because of unfinished business. The ghost seeks revenge or justice, or wants its story told or its remains found. Barriers to communication make this difficult, but not impossible. These are all ideas that inspired my ghostly novels, #1 Kindle Bestsellers SILVER LAKE and GULL HARBOR. HAUNTED SOULS was inspired by my visit to the haunted Old Jail House in Barnstable! I can't say too much about my upcoming The Haunting of Hillwood Farm, for fear of spoilers, but I will say you can get this brand new story *exclusively* in the Love Under Fire Box Set if you Pre-order now - the set is only 99c if as a Pre-order, and every sale benefits our charity for this project - Pets for Vets! You can order Love Under Fire from your favorite retailer here.